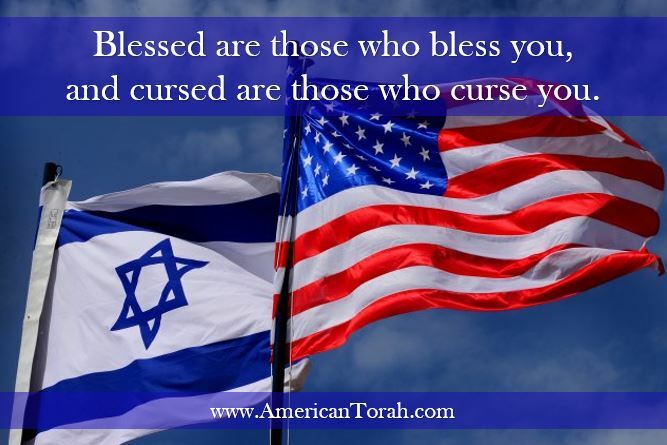 Through the prophet Balaam, whom Balak had hired to curse Israel, God said, “Blessed are those who bless you, Israel, and cursed are those who curse you.” Christian America has largely taken this as a directive to contribute to Israel’s national defense, but is that a good interpretation? The political entity of Israel today is primarily made up of Jews, whether physically descended from the southern kingdom of Judah or adopted by custom or conversion from among the nations. 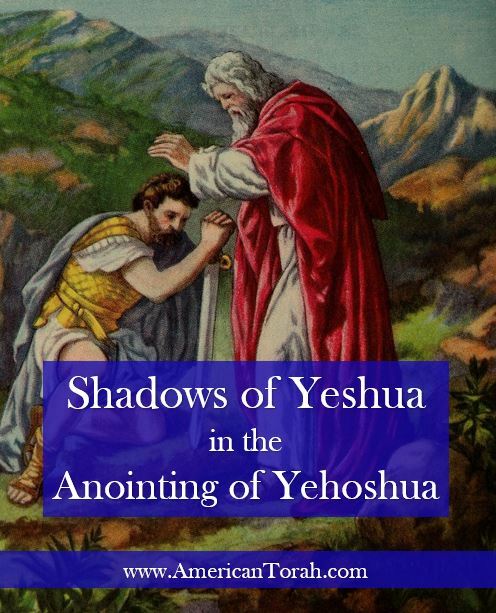 In the passage quoted above, Moses blessed Judah with the ability to defend himself with God’s supernatural assistance. Their survival does not depend on powerful military hardware or better tactics. Their relationship with God and obedience to his commands is a much more effective weapon. There is really very little we can do to help them militarily because any assistance we provide is superfluous. At times it might even be counterproductive. The actual well-being of Israel is of secondary concern to most Christians. They don’t promote the idea of a military alliance with Israel because Israel needs it; they promote it because they need it themselves. They want the blessing that God promised to those who bless Abraham. There’s nothing wrong with that–we should all desire blessing from God, especially that which derives from blessing others–but they should realize that there are many other means by which they can bless Israel: justice in international courts, open trade, charity, and scientific cooperation, to name a few. Our government in the United States (and pretty much every other government, including the State of Israel) is really only good at one thing: destruction. It seems to me that one good way to bless Israel would be to keep our government out of it unless something needs to be blown up, and there’s precious little outside of North America that we have any business blowing up. Let private individuals do whatever they feel led to do on Israel’s behalf. Pray for Israel and the peace of Jerusalem, invest in Israeli companies, contribute to charities that help believers in Israel, etc. If you really want to blow something up, join the IDF. I would ask one special favor of you, though: As one who has been grafted into the tree of Israel, an adopted child of Abraham, you can bless me (and therefore yourself) by using your own hard earned money to do those things, not mine or that of your other neighbors. Keep the US government and our tax money out of it. You, personally, should bless Israel in whatever way God leads you to, without forcing anyone else to give with you. Forced charity isn’t really charity, after all. It’s just extortion with a smile. The greatest blessing of all is the Good News of the Risen Messiah. If you really want to bless the Jews and the State of Israel, teach them to bless the name of Yeshua and to keep the commandments of God. There is no better early warning system, no better missile defense, no greater offensive capability than armies of God fighting on your behalf. Our men are anemic and our women base. What’s worse is that they seem to be proud of it. They put their filth on banners and scream obscenities in the street at everything virtuous. I see images on social media of people deemed admirable by pop culture, and I am repulsed when I’m pretty sure they mean for us to be attracted. Our most capable men are so discouraged by injustice and a system designed to crush masculinity and patriarchy through legislation and public shaming that they are focusing on their own little worlds and hiding from the rest of the world. Their absence left a vacuum that has been filled by children (Remember the political rallying cry of “But it’s for the children!”), women, and ineffectual men. Injustice is the rule rather than the exception in our “justice” system. Political and bureaucratic oppression of those who might otherwise inspire others to greatness. Active and purposeful destruction of the family: divorce, family courts, and child “protective” services. Physical appearance is everything, while character is nothing. Loose women who flaunt their independence and licentiousness are admired and called strong, while conservative women who keep a low profile and dedicate their lives to their children and husbands are made bitter by years of maltreatment and scorn. The glorification of the perverse and the demonization of the virtuous. The cultural elite have declared war on righteousness and their primary tactic is the destruction of the individual conscience. There are two things that we seem to be missing in spades: backbone and humility. 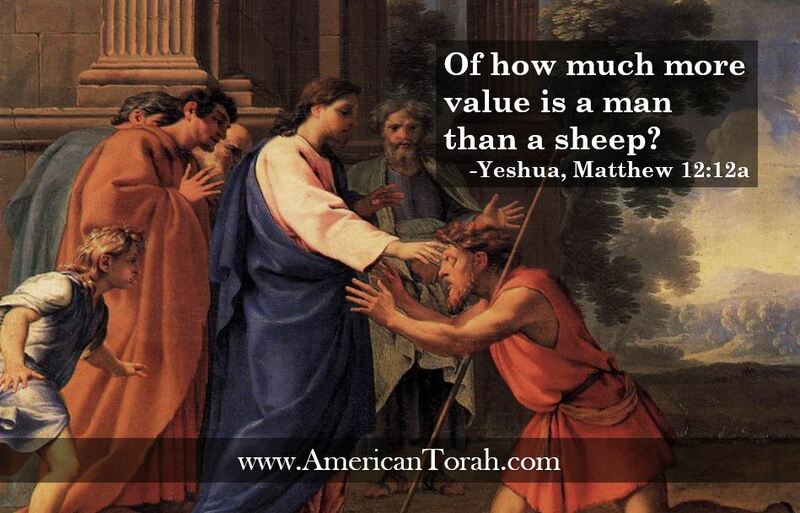 Besides Yeshua, who in the Bible were exemplaries of backbone and humility? Some examples that immediately come to my mind are Moses, David, Deborah, and Abigail. Moses was called the most humble man that ever lived, yet he stood up to Pharaoh and led millions through hardship and war. He begged God to spare the people despite their unfaithfulness, he answered their every call for help, and then he directed them in the destruction of entire armies and cities. David constantly wrote of his own unworthiness and refused to attack the king who God said he would replace and who had tried to kill him. He sang, danced, and played the harp, yet hardened men of war flocked to his side, and he was Israel’s greatest general and king. He killed hundreds of men by his own hand and ordered the deaths of many thousands. He wept for his people on one hand, but never shrank from doing what was necessary to protect them on the other. Deborah stayed out of the limelight except when she was called, and then she led a nation in justice and war by the respect of its people and the blessing of their God. When men failed, Deborah stood in their place and glorified God for the destruction of Israel’s enemies. Abigail loved her husband in her deeds even if she despised his behavior and character. When his life was threatened by a powerful warlord bent on revenge, she didn’t step aside and gain her freedom. She confronted the warlord and saved her husband’s life. When God took her husband a few days later, she became a queen and an example for women in all ages. America and the west has very few Davids and Abigails. Those we have are banned from the public square. But if we are to survive, then we must turn the tide. We must repent and turn back to God’s Law en masse. We have to stop making excuses for why God’s Law no longer matters. I don’t know exactly where you are in your life, but I know that you’ve been telling yourself that God doesn’t really care about something you’ve been doing. 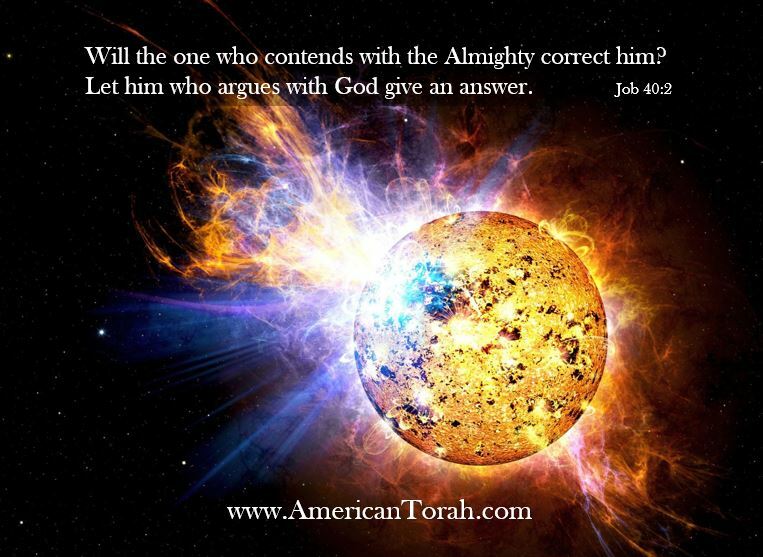 “Has God really said…?” you keep asking yourself, but you already know the answer. I know because I do the same thing. We all do. But don’t ask God to tell you what to do in a matter on which he has already spoken. America isn’t Israel, of course, but many who are of Israel are Americans, and the burden truly to transform our society rests squarely on us. We can’t expect those who are lost in rebellion to turn around without someone to lead them. Do you want a Moses to lead you in revival? Then become Moses. Do you want an Abigail to show you how to be a wife and mother of great honor? Then become Abigail. Take that one thing in your life that you know can’t possibly please God and commit to doing it differently. Pray earnestly and consistently for God’s help and be willing to accept that help when he sends it. He will show you the answers if you are willing to see them, and his answers to your personal issues frequently come from unexpected places. Don’t tell God how he is allowed to communicate. Moses didn’t become Moses overnight. He spent a long time working out his issues in the desert before God sent him to lead the Hebrews out of Egypt. David had to fight his lions and bears before he faced the giant, and Goliath wasn’t his greatest foe. Don’t expect too much from yourself too quickly. You will fail at times, but it will be okay. Just keep moving forward, one step at a time, patiently but surely, supporting one another without condemnation, and relying solely on God’s Grace for your salvation and certain victory. God will honor your faith and obedience. 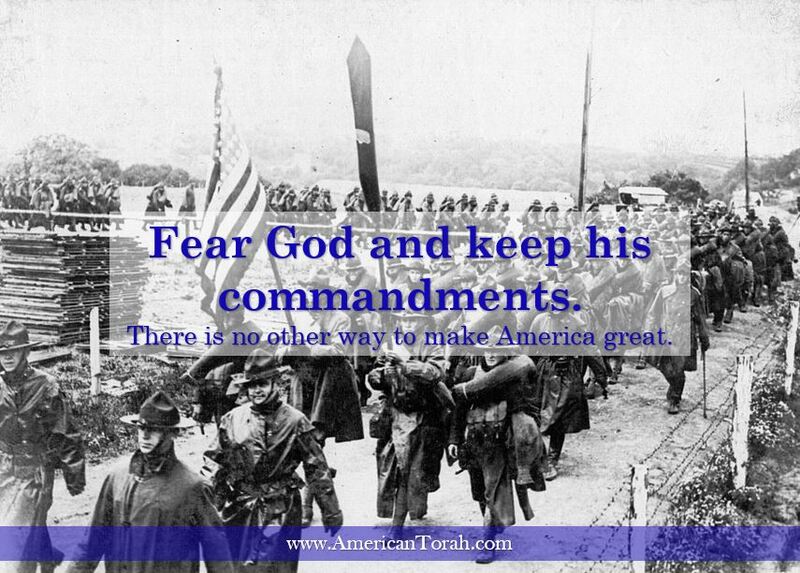 Fear God and keep his commandments. There is no other way to make America or any other nation great again in any way that matters. The kingdom of heaven may be compared to a man who sowed good seed in his field, but while his men were sleeping, his enemy came and sowed [tares] among the wheat and went away. So when the plants came up and bore grain, then the [tares] appeared also. When I was growing up, I heard this parable taught many times in Sunday School. The point made most often was this: Watch out for those tares. They look like real Christians, but that’s only a disguise on the outside. God knows what’s really in their hearts, and at the judgment, he will be able to tell them apart. The wheat will go to heaven, while the tares will go to hell. So don’t be like the tares. Be a real Christian, all the way through. That’s good advice and all true as far as it goes, but it’s not complete. What about the man’s instructions to his servants? Don’t pull out the tares, lest in doing so, you root up the wheat along with them. I quoted the full parable in Matthew 13 at the top of this article from the English Standard Version, but I think this is one of those few cases where the ESV is clearly wrong. Certainly a tare is a kind of weed, but it’s a specific kind of weed, and that fact is important to the parable. I changed that word in the quote to make sure that point isn’t lost. The tares are nearly indistinguishable from the wheat throughout most of their lifecycle. A worker, being unable to tell the difference, might pull up wheat and tares indiscriminately. The roots of the tares intertwine with those of the wheat, so that, even if correctly identified, removing them might still remove neighboring wheat plants. When they begin to ripen, the tares finally become evident to even the most untrained worker. All of the plants can be cut together and the tares separated out by hand. Besides the Sunday School lesson I referenced above, what can we learn from this? Hypocrites who appear like saints to everyone else, but who harbor secret sins. The licentious who justify their behavior using alternative translations or interpretations of Scripture. Heretics who profess extra-Biblical revelation or who rely on obscure, mystical interpretations of Scripture to support a belief that could never be derived from a plain reading of the text. Did you notice that I worded each of those to influence your opinion against the people being described? Christians (and Jews and every other religious group…maybe I should just say “people”) have a long history of attacking their own over seemingly minor disagreements. We let our emotional attachments to our own opinions trump reason, knowledge, and love, and in the end, all we accomplish is destruction. We are like the servants in Yeshua’s parable, but instead of asking him what we should do, we take it upon ourselves to pull up what we perceive to be tares. Let me give you some examples of the three types I listed above. A deacon at your church is respected and liked by the congregation. He has served honorably for many years. But recently you saw him exchange envelopes with a strange man in a restaurant. Was it a drug deal? A blackmail payoff? This man looks like wheat to everyone else, but now you’ve seen something that makes you wonder if he might be a tare. Should you expose him? What has he actually done? Did you see drugs, money, photos…anything actually bad at all? In reality, all you saw was two men exchanging envelopes. It could be a contract, landscape design, or project specs. You don’t really know anything at all. God’s Law doesn’t authorize us to snoop in other people’s private lives. (See “So Shall You Purge the Evil from Your Midst“.) If someone is flaunting their sin or if it becomes public knowledge somehow, that’s another story, but if someone has sin in their closet that nobody knows about except him and God, then leave it be. You don’t know what unwarranted damage you might cause by meddling where you don’t belong. One person believes they should never eat meat sacrificed to idols, while someone else believes it’s okay as long as you don’t participate in the ritual itself. They both might feel very strongly that they are right and that the other person is engaging in legalism or idolatry. 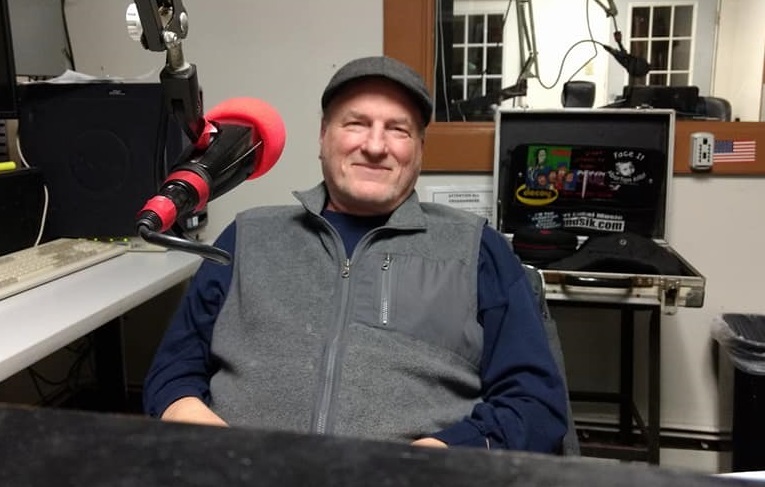 They both love God with all their hearts and do all they can to help their neighbors, but based on this one issue, they are ready to excommunicate each other. 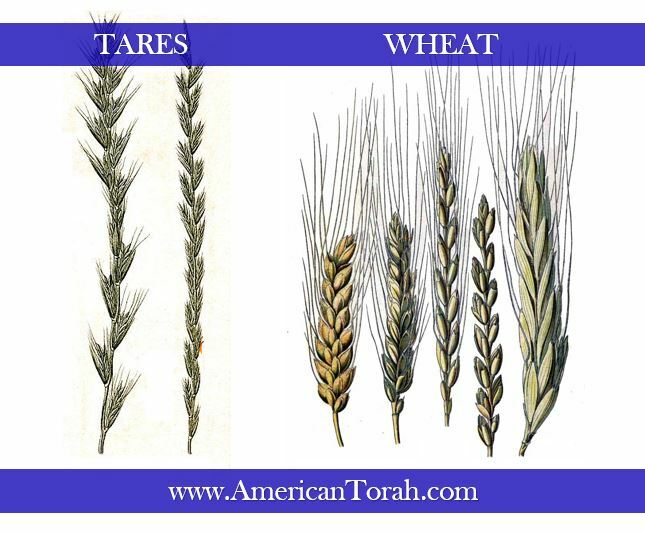 They have both identified the other as a tare, when in reality they are both wheat. Being wrong about something doesn’t condemn a person to hell or make them into a wolf in sheeps clothing. It just means that they’re wrong about something. We all believe things that other people don’t, even things that seem to us to have clear and incontrovertible support from Scripture. Investigate why others believe the way they do, and you will almost certainly find that they have good reasons, and aren’t in rebellion against God. When we find ourselves on the opposite side of an issue from knowledgable and godly people, we need to step back and acknowledge that we might be wrong. That doesn’t mean you have to change your mind. It only means that you need to extend a little grace to your brothers and sisters in Yeshua when the Bible isn’t quite as black and white as we would like it to be. Infant baptism or only adults? Sprinkling or immersion? Trinitarianism or unitarianism? Yeshua or Yahusha? Cessationism or continuationism? Young earth creationism or theistic evolution? There are countless more examples of controversies within Christendom that have no real impact on how we look or behave. If you keep the Sabbath and don’t bow down to any graven images, does it really matter if you believe that God does or doesn’t have semi-autonomous parts? Nope. If you don’t murder or steal, what practical difference does it make if you call the Messiah Jesus, Yeshua, or Yahusha? Zilch. Does believing that the earth is 6000 years old or 5 billion years old matter if you honor your parents and respect your neighbor’s property? Not a bit. Does reading the Bible in English make you any more or less a Christian than reading it in Latin? Christ didn’t read the Scriptures in either one, so I can’t see how it could. These are matters of vain philosophy and imagination. They are myths and just-so story telling. Yet so-called devout Christians have killed each other over these issues because they refused to heed the parable of the wheat and the tares. In attempting to uproot what they believed was a tare, they caused hatred and division in the Body of Messiah. They destroyed lives, both innocent and guilty, and they continue to do so today by accusing their brothers and attacking one another over relatively trivial matters. Deuteronomy 29:29 says “The secret things belong to the LORD our God, but the things that are revealed belong to us and to our children forever, that we may do all the words of this law.” The secret things that belong to God are sins that are done in secret as well as those things that God has not chosen to reveal to us in any detail. The Bible hints at many things that are not explained in depth and never addresses many others. For example, there are a number of instances in the Old Testament in which an angel is referred to as God. There are seven spirits of God. In mystical language, John said that Yeshua is God, and then there is the Holy Spirit, but the Scriptures also say that God is one. So is God one, three, or seven? We are created in God’s image, yet God doesn’t have a body. We have a body, so how can we be made in the image of a God that doesn’t? I don’t know the answers to these questions, and the plain fact is that neither does anyone else. God is God, and he is beyond human comprehension. He has not chosen to give us a detailed description of himself or his anatomy, and if he had, we shouldn’t expect to understand it anymore than an amoeba would understand ours. When we insist, in the guise of stamping out heresy, on attacking one another over questions to which nobody could possibly know the answers or that don’t have any practical application, then we are like hamfisted workers, carelessly tearing out good wheat with bad tares because we think we know better than our master. In our zeal to purify the Body of Messiah, we have tainted it by filling our hearts with hatred. There are things that are clear in Scripture. In the context of the parable, we might say that thistles are easy to tell from wheat. Someone with spiritual eyes to see and hands to touch will never confuse the two. If you can uproot what is clearly evil without harming what appears to be good, do so. This is also part of our master’s instructions. Open homosexuality, murder, theft, idolatry… Only those who are are in active rebellion against God and his Law will defend them. These things mark the truly reprobate from the righteous, and we are commanded by God to remove them from our communities to prevent their spread. We aren’t authorized to go looking for them in people’s closets, but if they are revealed, then we have to deal with them. Speculations about esoteric matters that have not been revealed to us can be interesting, even enlightening at times, but are more often simply a waste of time. As long as they don’t lead people to reject what has been revealed or to behave contrary to God’s commands, they aren’t worth fighting over and driving off good people. In the end, even every stalk of grass will be known by its fruit, and sometimes we just need to let them all grow and leave it to the Master to sort them out. The master wanted his servants to wait for the harvest because there are things they don’t know. They can’t see the roots of those tares. They can’t see the DNA that truly defines one from the other. There’s a good chance they can’t even tell the difference between the wheat and the tares by looking directly at them. Those things that God has not chosen to reveal to us are his business, not ours. And if you faithfully obey the voice of the LORD your God, being careful to do all his commandments that I command you today, the LORD your God will set you high above all the nations of the earth. And all these blessings shall come upon you and overtake you, if you obey the voice of the LORD your God. Blessed shall you be in the city, and blessed shall you be in the field. Blessed shall be the fruit of your womb and the fruit of your ground and the fruit of your cattle, the increase of your herds and the young of your flock. Blessed shall be your basket and your kneading bowl. Blessed shall you be when you come in, and blessed shall you be when you go out. The LORD will cause your enemies who rise against you to be defeated before you. They shall come out against you one way and flee before you seven ways. Deuteronomy 28 is infamous among students of the Torah for its short list of blessings for obedience to God’s commands and very long list of curses for disobedience–you have to skip ahead to Isaiah 60 to get a fuller picture of the blessings. 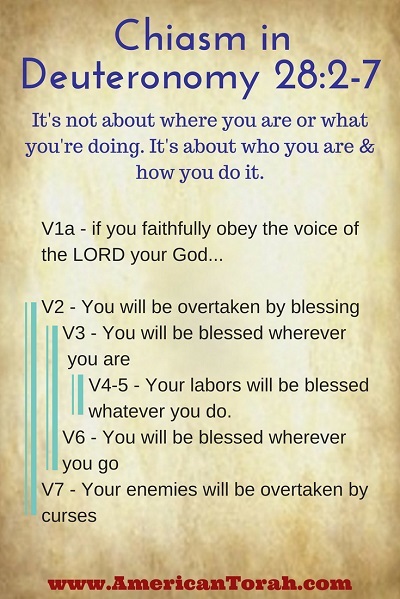 V2 – You will be overtaken by blessing. V3 – You will be blessed wherever you are. V4-5 – Your labors will be blessed in the fields (agriculture) and cities (manufacturing). V6 – You will be blessed wherever you are going. V7 – Your enemies will be overtaken by curses. If we are careful to keep all of God’s commandments, then blessing will overtake us, while curses overtake our enemies. We will be blessed whether we work in the fields or in the cities, whether we are going out into the world, or coming home to Israel. Whatever our professions might be, our labors will be rewarded. I want to tell you three things about this chiasm and about the whole chapter in general. First, I want to address the apparent imbalance in the amount of text given to blessings and obedience. The curses aren’t given in more excruciating detail than the blessings because God is all lightning and brimstone with no patience for human foibles. To the contrary, God is extraordinarily longsuffering and generous in his forgiveness. He takes no pleasure in the suffering and death of the wicked, but longs to bless them through their repentance. No, there are other reasons for the lack of detail in the blessings. True blessing is harder to perceive than curses. Defeat, poverty, disease, and barrenness…those things are easy to see and understand. But blessing is more and more subtle than victory, riches, health, and fruitfulness. Blessing comes also as love, contentment, honor, and purpose. This is one possible reason why the blessings for obedience aren’t enumerated: because they aren’t so easy to name and might look different to each recipient. Every child understands the threat of punishment, but most children will never understand the true value of their parents’ blessings until they are parents themselves. Second, notice how this chiasm begins and ends: with pursuit and capture. In the opening, we are overtaken by blessings in our pursuit of righteousness. In the closing, our enemies are overtaken by curses (defeat) in their pursuit of cursing us. This is related to the disparity of text dedicated to blessing and cursing. Blessings are good things, by definition, and there is nothing at all wrong with wanting to be blessed in every way possible. Good health, profit, wisdom, children… These are all things that we should desire, but they must be kept in proper perspective. Balance can never be achieved by pursuing blessing, only by pursuing righteousness. The light of God’s Word and Love desires to shine through us into the world, but it can’t do that if we are only focused on ourselves. The ultimate goal of every righteous man must be to become an effective conduit of God’s Light into his community and even the whole world. By every mitzvah–every good deed–that we perform, we show God’s love to one another as well as to him, because as Yeshua pointed out, to love God and to love one’s neighbor are together the cornerstone of the whole Law. Through pursuing greater righteousness (not for salvation, but out of love and gratitude toward our Creator and Messiah), we will be overtaken by the blessings of God, while those who pursue rewards for themselves and curses for their enemies will be overtaken by curses themselves. Third, see where the blessings will come and how: in the city and in the field, in the fruits of agriculture and in the fruits of manufacturing, whether you are coming or going. The point is that it doesn’t matter what you do for a living nor where you do it. It doesn’t matter if you are a farmer, builder, teacher, or accountant, whether your work is done on the road or at your kitchen table. What matters is who you are (Israel, both native and grafted in) and how you execute your labors (according to all of God’s commands). It’s good to get your hands in the dirt, but no one is more righteous for being a farmer rather than a pastry chef. It’s also good to desire and to work for good things, so long as they never supplant God as our ultimate focus. By blessing God and our brothers and sisters, we bless ourselves. Seek first the Kingdom of God and His righteousness, and all these things will be added unto you. Blessings come in many guises, but they come to all people who love God and keep his commandments before all else. 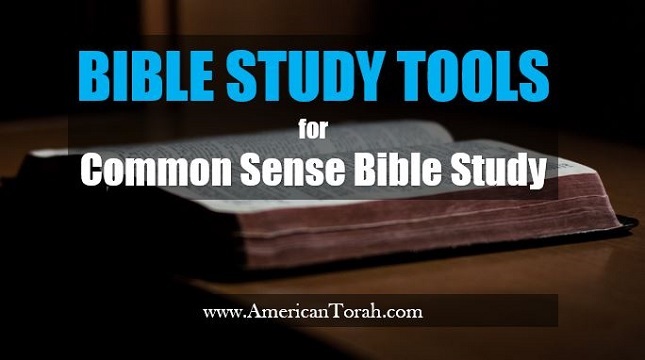 So far in Common Sense Bible Study we’ve looked at setting up for your study time, how not to get lost in irrelevant theological weeds, a few tips on how to read the Bible in its historical context, and some essential Bible study tools. In this installment, we’ll look at a number of other Bible study tools of varying importance, starting with those I believe to be most important and working our way down to “eh”. I want to let you know what’s available without boring you to tears, so I’ll try to keep this brief. Full disclosure: I earn a small commission on anything you buy from Amazon through the links on this page. Bible commentaries contain verse-by-verse (or at least passage-by-passage) discussions of the whole Bible or of individual books. They can be very helpful for understanding the meaning of difficult passages–and even many passages that appear to be simple– but remember that they are only the teachings of men, and different teachers can have very different interpretations of the same passages. No commentary has the same authority as the original Scriptures themselves. Just as with Bible translations, I recommend that you don’t rely too heavily on any one. Contrast and compare. Any of Tim Hegg’s commentaries on individual books. 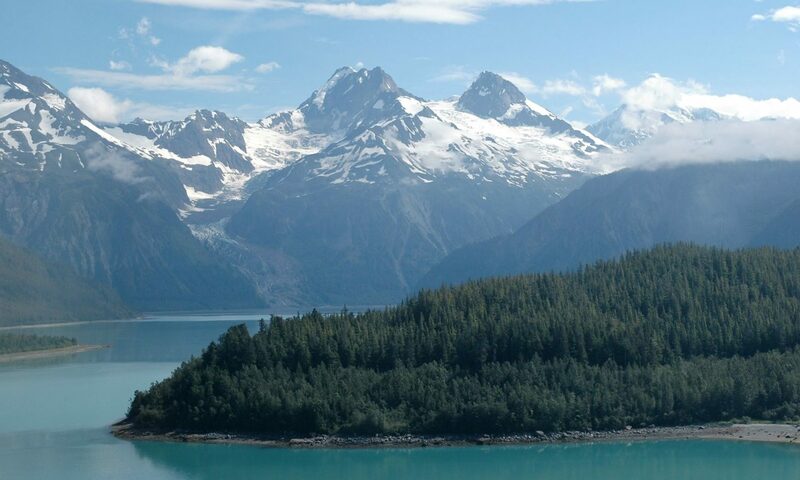 What kind of culture did the Hebrews leave behind in Egypt and what did they find in Canaan? How did the tense relationship between Rome and Jerusalem affect the Sanhedrin’s treatment of Jesus? A History of Israel by Walter C. Kaiser, Jr.
Lectionaries provide lists of Bible passages to be read on specific dates or events. In my opinion, their greatest value lies in leading the reader to thematic connections between different passages that might not be obvious at first. Jewish tradition pairs a reading from the first 5 books of the Bible (this reading is called a Parsha) to a related passage in the Prophets (called a Haftarah). The second passage illustrates or expands on the meaning of the first. Many Christian denominations use lectionaries as well. If a lectionary includes liturgy, devotionals, or commentary, it could be a problem, but if it only pairs related Bible passages, it could make for some very interesting study material. A harmony is an attempt to create a single, chronological text from different accounts of the same events. For example, a gospel harmony combines the narratives of all four gospels into a unified, chronologically arranged account. Such a work necessarily involves some extra-biblical interpretation, because there are ambiguities in the original texts that require making some assumptions about the author’s intent to make them line up with the other accounts. I have only seen harmonies made of the gospels, but I’m sure someone must have attempted harmonies of the Torah and the historical books of the Old Testament as well. You can find them on the Internet or in book stores. In general, I view harmonies as curiosities and little more. They never seem to deliver the value or clarity one would expect. On the other hand, you might learn a lot from compiling your own. You can probably find hundreds of examples for each of these types of resources. I recommend researching the authors and their likely biases before ascribing much authority to them, and, of course, weigh everything they say against Scripture. You are unlikely to ever find an author or organization who agrees with you on every important detail, so don’t reject a tool just because it contains something you don’t like. Look at the whole work and decide for yourself whether you can learn enough from it to balance its potential errors. In time, you might even discover that that the author wasn’t wrong, but you were. Pray. Read. Study. Meditate. Pray some more. May you be blessed and may God be glorified in everything that you do.